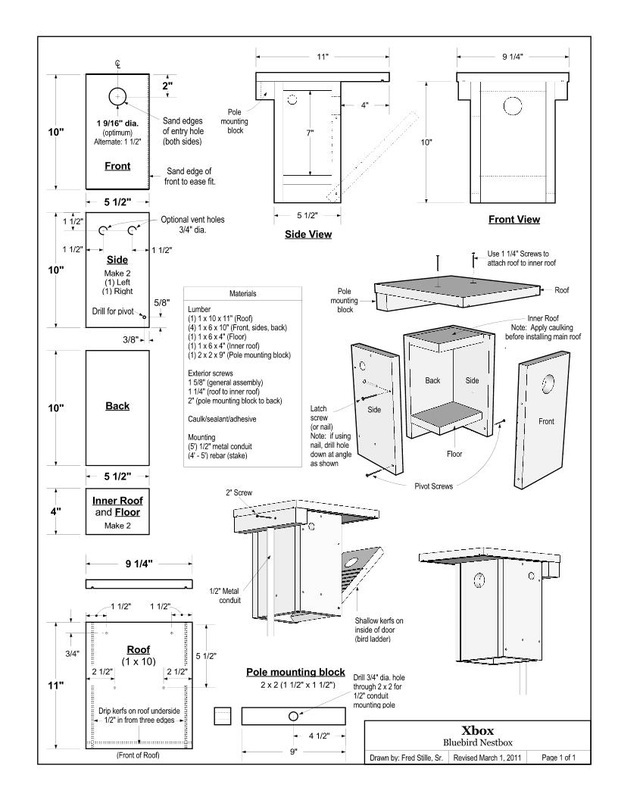 The XBox Design - Harry Schmeider "The Ambassador for the Bluebirds"
I endorse this nest box and mounting system because its easy to build and easy to mount. Please read the Bluebird Flyer below and learn the master minds behind its creation of - The XBox Way to go guys ! 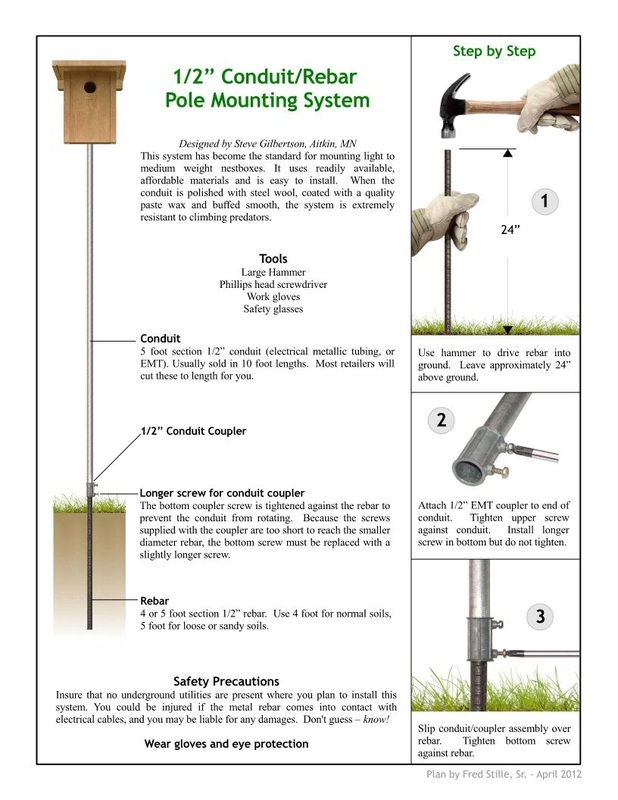 Creators of the XBox Design - An Awesome Nestbox easy to construct with a easy pole mounting system.